FRUITS AND VEGETABLES: lettuce, cabbage, spinach, brussel sprouts, onion,scallions, leeks, cauliflower, artichoke, broccoli, beets, parsnips, carrots, radishes,rutabaga, turnips, potatoes, celery, asparagus, rhubarb, tomatoes, eggplant,cucumbers, hot peppers, yellow squash, winter squash, sweet peppers, zucchini,green beans, peas, corn, soybeans A fun and informative book all about vegetables, how they are grown, and which parts we eat. 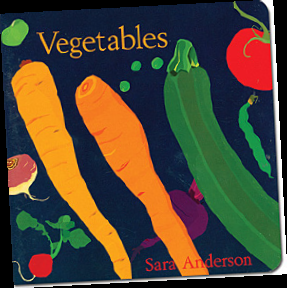 A great book to show kids the difference between “leaf” vegetables, “bulbs,” “flower buds,” and more. Different sections of the book could be read to highlight different themes: how vegetables grow, what parts of vegetables we eat, how to grow your own vegetable garden, etc. 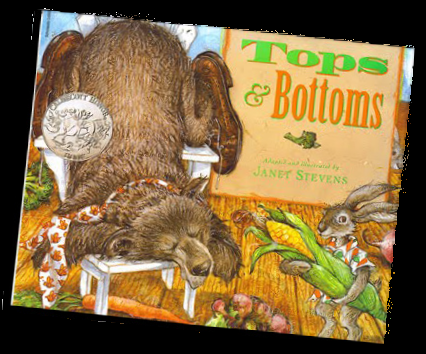 FRUITS AND VEGETABLES: carrots, radishes, beets, lettuce, broccoli, celery, corn A story about a lazy bear and a clever hare who join together as business partners in farming. Each year, Bear chooses “tops” or “bottoms” while Hare does all the work, but Hare makes sure to plant the best vegetables on his side of the dirt! 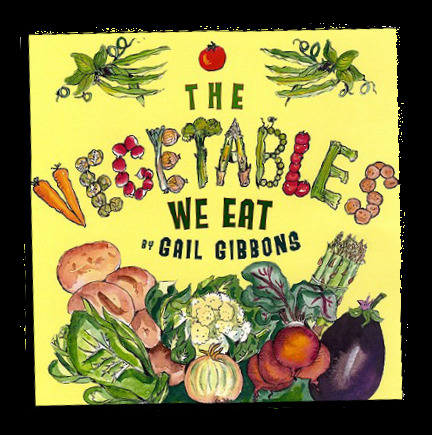 FRUITS AND VEGETABLES: celery, rhubarb, cucumbers, beans, potatoes, tomatoes, artichoke, turnips, carrots, peas, onion, eggplant, pumpkins, asparagus, lettuce, zucchini, beets, broccoli, spinach, corn, green beans, radishes, sweet potatoes, cauliflower, cabbage Book features rhyming text and illustrations of brightly colored vegetables. 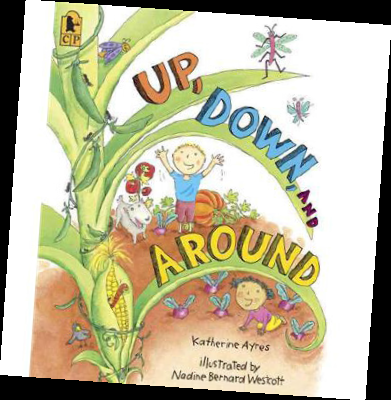 This fun, rhyming story tells the tale of how vegetables grow (broccoli grows up/beets grow down/green beans climb around and around). Children will love the bright, realistic illustrations, and the lilting rhymes.